Mercaux’s Styling & Storytelling solution allows sales people to engage customers with the power of rich content and inspirational storytelling. By bringing in user generated content, marketing material and digital lookbook’s, enable salespeople to sell complete outfits, not just products. See recommendations on how to style a product to build the perfect on-trend outfit. Browse branded imagery and video to tell your story. Leverage digital lookbooks with seasonal marketing and PR content. 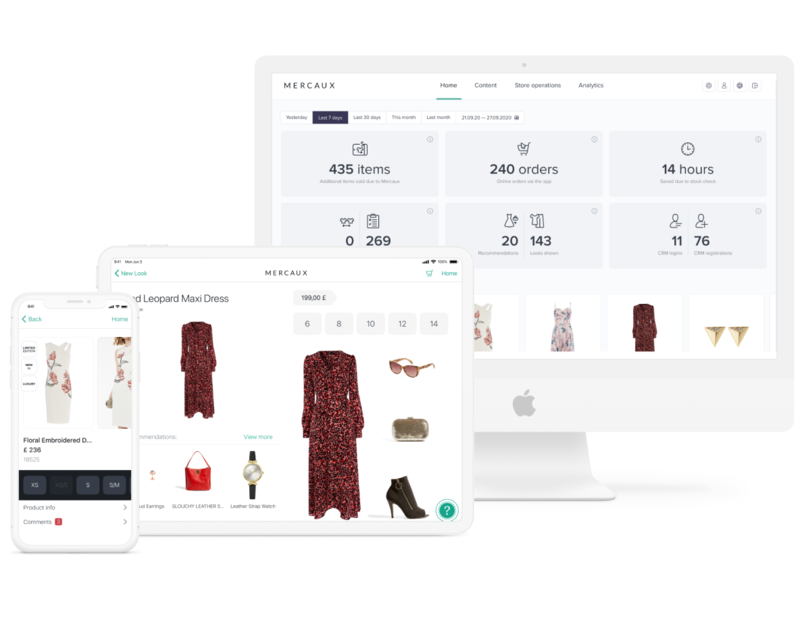 Leverage your community of sales people to create and share outfits using the in-app look builder. Personalise and style looks from the shop floor or fitting room and curate collections of outfits with trending items for the season. Approve or reject looks with comments from the head office team with the ability to manage and control content on the app from the web-based portal. View user-generated content and easily access social media content of celebrities and influencers.